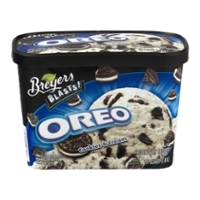 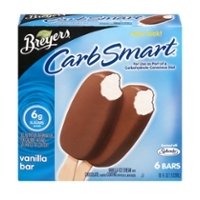 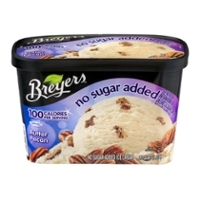 Smooth, Creamy Breyers Ice Cream Is A Sweet Treat! 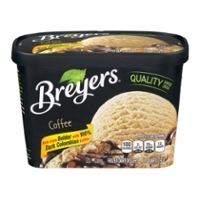 Breyers ice cream started with good, old fashioned dedicated hand cranking in 1882 by William A. Breyer, from Philly. 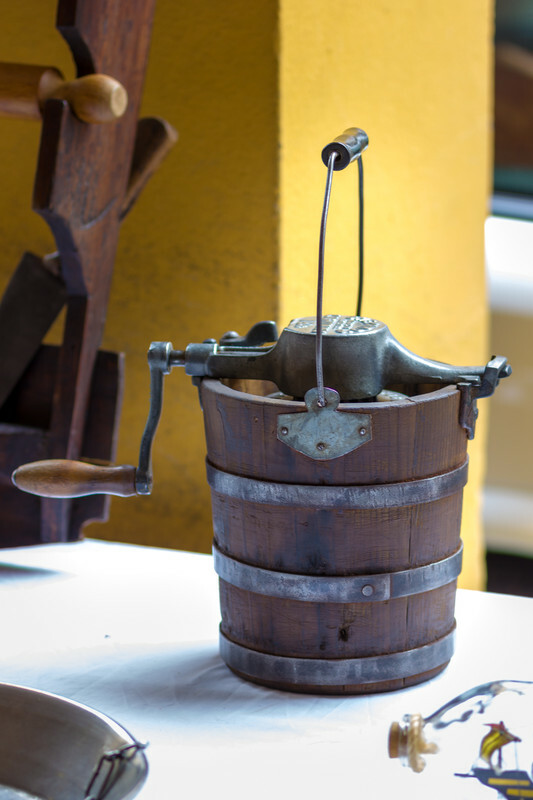 Back in the days before electricity, hand cranking was how it was done. 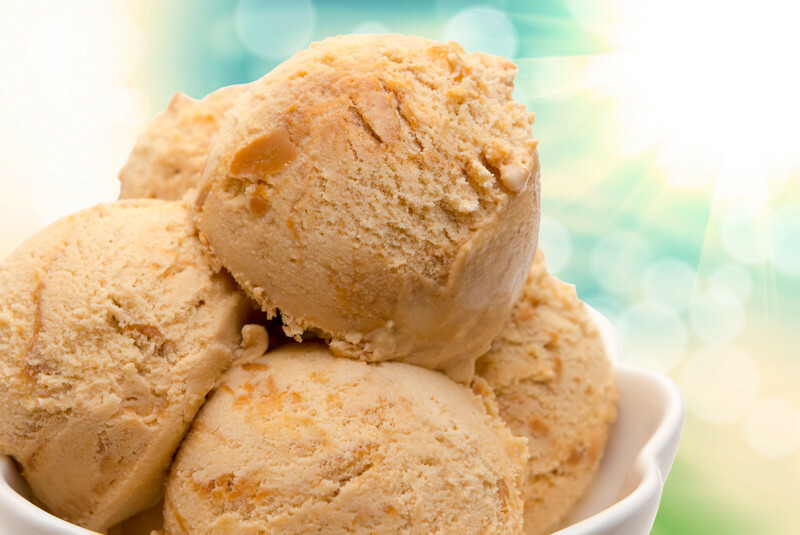 We now have electric machines if we want to make ice cream ourselves. 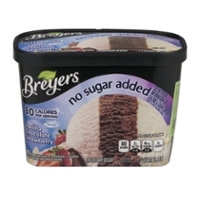 We also have the grocery store for even more convenience. 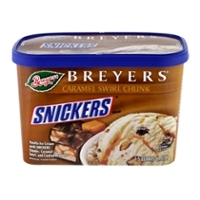 Breyer made his special ice cream in his shop and horse cart delivered it to his customer/fans, experienced much success and continued to open more shops. 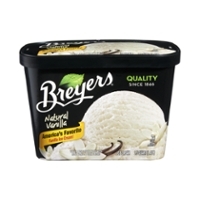 Think about the Breyers ice cream making process then, for just a minute; ice cream made and delivered just made and fresh because there's no cooler to store it except for an old time ice house and probably not for long! 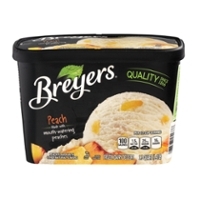 It takes a special person to make old fashioned ice cream because of the labor involved, but we are talking about an industrious man, W. A. Breyer! 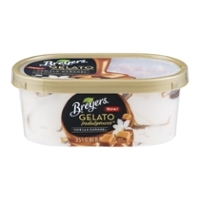 (Quote) "Gelato is made with many of the same ingredients found in ice cream – like milk, sugar and cream. 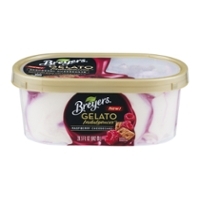 Gelato typically has less fat than ice cream, is denser than ice cream, and the flavors are often more rich. 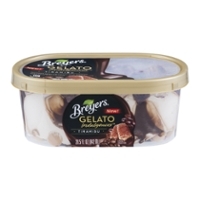 Unlike our ice cream varieties, Breyers Gelato Indulgences come with a unique trio of textures: creamy gelato, luscious sauce and gourmet toppings." 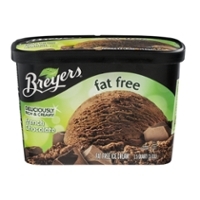 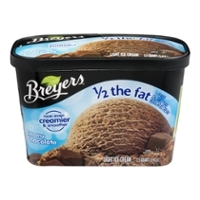 Food Run Fix's favorite ice cream? 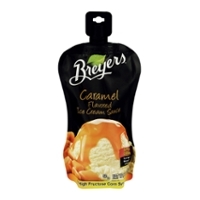 Simple, "Natural Vanilla", dripped with hot caramel sauce, and sprinkled generously with pecan pieces. 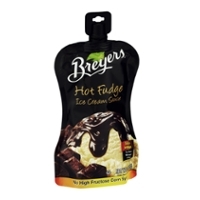 Our idea of heaven! 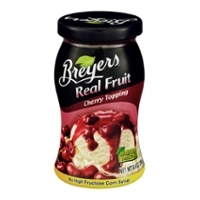 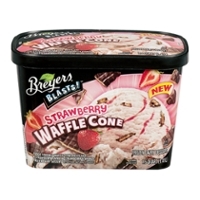 A Breyers Ice Cream Dessert, Dairy Dessert Blasts!